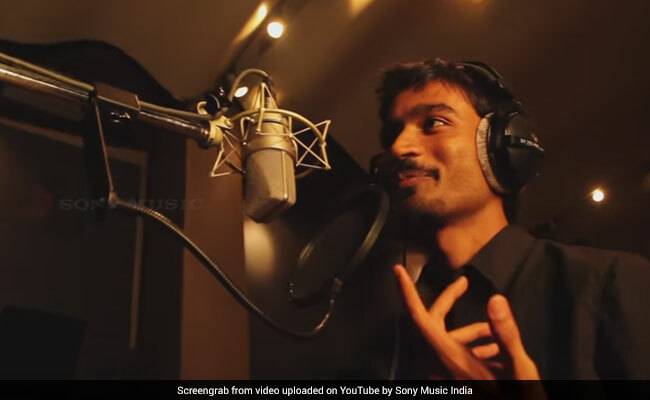 Actor Dhanush's viral single 'Why This Kolaveri Di?' (which can be roughly translated to 'Why this rage?') was an instant hit on social media. Chennai: Actor Dhanush's viral hit 'Why This Kolaveri Di?' may be six-years-old but it has garnered 12.5 crore views on YouTube, a top official of the online visual content provider said today. "A lot of our signature success started from 'Why This Kolaveri Di?' six years back. It has received 12.5 crore views and that number is still growing," Ajay Vidyasagar, Regional Director-Google Asia Pacific, told reporters here. Dhanush's viral single 'Why This Kolaveri Di?' (which can be roughly translated to 'Why this rage?') was an instant hit on social media. "This piece of creativity keeps winning again and again due to fans," Mr Vidyasagar said, adding that the video had inspired many to come up with their own versions of the song too. Quoting statistics, he said India had witnessed a surge in YouTube viewership in the past few years, even as rural and small towns made a significant contribution. From being a "metro phenomenon" about five years ago, YouTube is now being used by consumers even in many remote villages of the country, he said. "Film engagement" on the visual platform stood "neck to neck with Hollywood" and teasers and trailers of recent Tamil hits like 'Kabali' and "Baahubali' received 34 million and 22 million hits respectively, Mr Vidyasagar added. Online hits of many Indian movies even exceeded the viewership of Hollywood films, he said. YouTube, a subsidiary of US-based tech giant Google, earlier hosted a 'Tamil Day' where its team met with online video creators from the city.